While some Jews fled to the forests at the time of the Nazi occupation of Poland in 1939, greater numbers of Jewish partisans fled the ghettos in 1943-1944, when the 'liquidations' began. The Nazis were only one enemy hunting the Polish Jewish partisans – local Polish extremists and the fascist element of the AK hunted them as well. 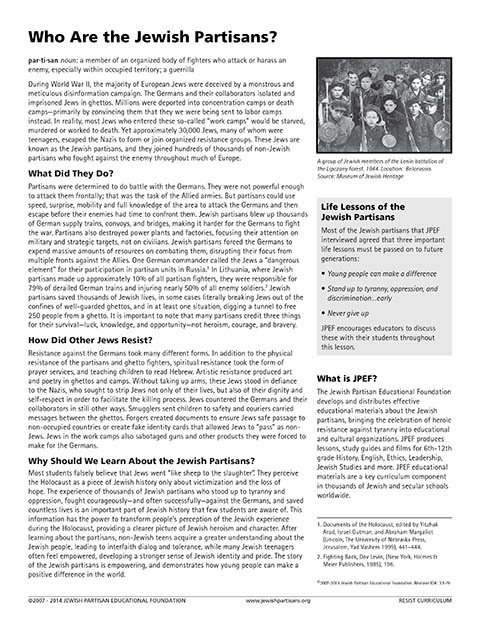 Because of the widespread Nazi hunts for escaped Jews, and centuries-old antisemitism among some locals, many Polish Jewish partisans sought affiliation with Polish partisan groups. This was a difficult and dangerous task – a Jewish partisan could be robbed of his weapon, or killed for approaching a partisan unit. However, numerous Polish partisan units welcomed Jews, such as the People's Guard. In the Generalgouvernement area of Poland (divided into four districts Warsaw, Krakow, Radom, and Lublin), hundreds of Jewish partisans belonged to Polish units of the People's Guard, to the Home Army (AK), and to other groups. Considerable numbers of these Jewish partisans operated in commando units, and dozens of Jews took leadership roles as commanders. Jews also fought as partisans in all-Jewish units, such as the ZOB (the Jewish Fighting Organization), which was active throughout occupied Poland. Against incredible odds, thousands of Polish Jewish partisans fought back, and most lost their lives. Many did not expect to survive, as reflected in the motto of one Jewish partisan group: "For those who seek life, we are not the address." Sheltered in the forests, Polish Jewish partisans created two types of camps as their bases: 'family camps' – which provided protection for those Jews could not fight, such as some women, children and the elderly – and partisan camps, which traveled lightly, and moved frequently. In the Naliboki Forest in eastern Poland, as many as 3,000 Jews in all-Jewish units were among 20,000 partisans resisting the Germans. 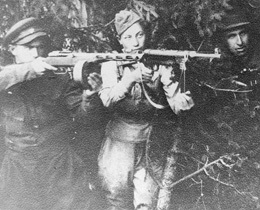 After escaping from Novogrodek ghetto, Rae Kushner fought with the Bielski partisan unit. She often stood guard at the Bielski encampment, and also cooked for the camp. 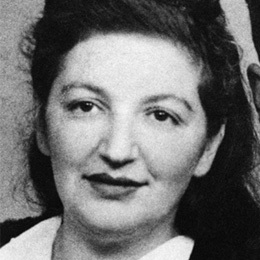 While in the partisans, Rae reconnected with Joseph Kushner, whom she knew prior to the German invasion. They married soon after the war ended.